Meet Laura, one of our travel experts for Dominican Republic. 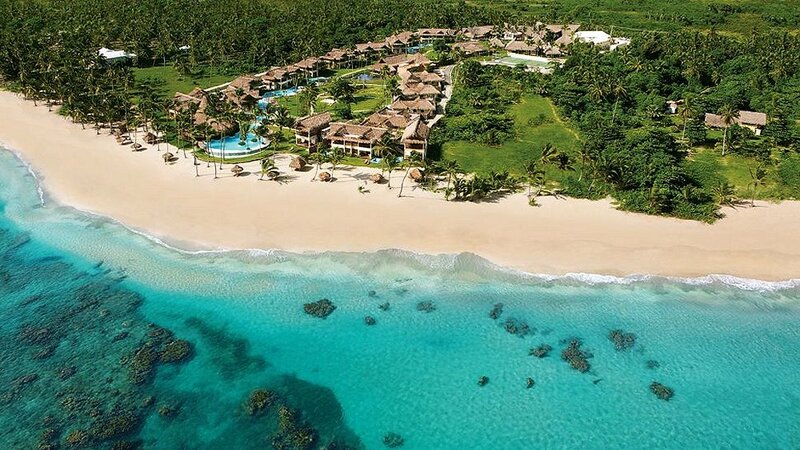 The Dominican Republic is the 2nd largest Caribbean nation, with 18,705 square miles and about 10 million people. It's the most visited destination in the Caribbean, and the year-round golf courses are among the most popular attractions on the island. Spanish is the official language, however many employees at hotels and tourist destinations will speak English, German, French, and Italian. The climate is tropical year-round, with temperatures ranging from 66F to 93F. The cold season is November to April, and the summer is May through October. The country offers breathtaking coastlines, mountains, romantic waterfalls, and a wide range of accommodations. The country is home to the first cathedral, castle, monastery and fortress in all of the Americas, located in Santo Domingo. Offer is limited to the first 97 rooms booked as a qualified package. A truly majestic hotel with beautiful spacious rooms, first-class amenities and services with lots of extras to exceed your expectations. Hotel: Majestic Mirage Punta Cana. Majestic Mirage Punta Cana is the ultimate all Suite resort in Punta Cana, offering the utmost in luxury and sophistication. This spectacular all-inclusive resort is surrounded by the most breathtaking landscapes, exuberant flora and fauna, making it an ideal property for Caribbean lovers and first time visitor to Punta Cana.